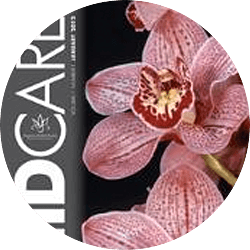 The simple secret to good orchid growing is achieving a balance between the six or so factors; light levels, temperature, humidity and air movement, watering, potting and potting media, and nutrient supply, as they relate to your plants. This isn't really difficult, but it does require knowledge, understanding and careful observation. Humidity and air movement are best handled together because they are intimately linked in both positive and negative ways. First let's look at each factor individually and then we'll take a look at their relationship to one another. Orchids like air movement. 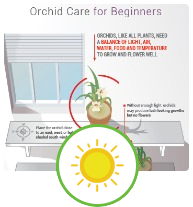 Indoors, an overhead paddle fan set on the slowest speed or a small oscillating fan set to face AWAY from your plants may provide adequate air movement. Air movement at night is just as important as air movement during the daytime so fans should run continuously. One of the mistakes that new growers make, especially those with new greenhouses, is to put their fans on a timer and shut them off at night! Don't forget that what you are trying to simulate is a buoyant atmosphere and close, humid nights are anything but buoyant. If you don't believe that, try walking on the beach in August in Miami without a breeze. What is adequate air movement? The answer depends on humidity to a certain extent (see below), however in general enough to cause GENTLE movement of thin foliage is about right. A hurricane is a hurricane - not air movement. If the leaves of your cattleyas are moving you might have too much air movement depending on humidity levels. Moving air keeps leaf temperature down. 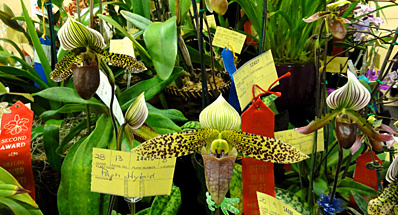 Some orchids close the pores that allow transpiration of air and water from their leaves during the day. 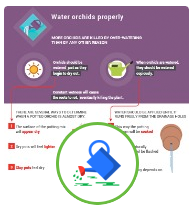 The leaves of these plants can rapidly become overheated and damaged without adequate air movement to cool them. 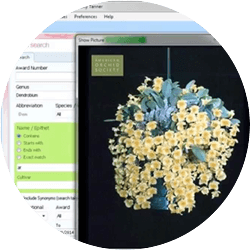 Air movement avoids the stratification of cool moist air below the growing area and warm dry air above, where the plants are and “dead spots” are minimized and, equally important, damp stagnant areas - breeding place for disease - are eliminated. 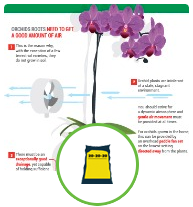 When balance of humidity and air movement is achieved, coupled with adequate water at the roots, your orchid plants will thrive and their physical appearance will clearly be healthy. That look is hard to explain but it's one of those things that once you've seen it you will recognize it. 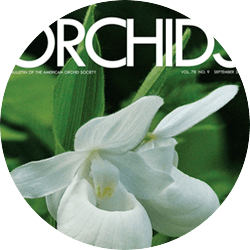 Many orchids have growth cycles that involve the formation of pseudobulbs that are full and smooth in their early stages followed by the formation of features like angular edges or furrows at maturity but outright wrinkling isn't normal. Even the pseudobulbs of Dendrobium sulcatum that are curious, flattened canes that look like they've been pressed are still smooth and firm when these factors are balanced. 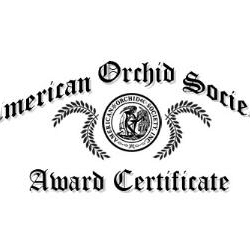 Many orchids have thick, fleshy leaves but their surfaces should be smooth and their texture should be firm. Leaves that appear to be wrinkled or crumpled aren't normal. Lastly, the roots of plants grown in an environment with balanced humidity and air movement will be plump and their tips will remain green and active throughout the growing season.